The Message from Kwara The Verdit By Olusegun Adeniyi By the time I left Ilorin, capital of my beloved Kwara State on the 6pm Arik flight last Friday to vote in Abuja the next day, the sense of excitement was palpable. Men and women who hitherto believed they had no power were buoyant. 'O to Ge' (enough is enough), the slogan of the main opposition party in the state (ruling party at the centre) had become an anthem on every lip. I spent only 24 hours on the visit, but I left feeling that whatever happened at the polls, it would be good for our democracy that people had become conscious of the power they wield with their ballots. A few hours after the polls closed last Saturday, results coming from across the state were almost difficult to believe. And then around midnight, I received a call. A friend of the Senate President Bukola Saraki said, �Segun, you are right; the Titanic can sink.� When I asked him to explain, he said results he was getting from Ilorin indicated that his friend was losing. He then reminded me of a conversation we had last year on the day Saraki left the All Progressives Congress (APC). I had argued that it was a miscalculation because without federal might to call upon, Saraki had left himself vulnerable and Kwara people would sense that this was their best opportunity to take him out. At the time, the man had argued that Saraki could not lose power in Kwara State under any circumstance. In the course of the conversation, I had reminded him of one of the most instructive scenes in the 'Titanic' movie which explained his retort last Saturday. The captain was informing the ship owner that the Titanic had hit an iceberg. "From this moment, no matter what we do, the Titanic will founder," he said. This elicited a sharp retort from the ship owner: "But this ship cannot sink." The captain responded: "She is made of iron, Sir. I assure you she can. And she will. It is a mathematical certainty." Because of Saraki's strong media presence which we know can bias perceptions, there was an air of invincibility regarding his hold on Kwara politics. While even he believed the hype, it is now certain that there is a new dawn in the state. The era of Saraki is over. This, however, is not the time to gloat and I will never join those who do because I endorsed Saraki when he first ran for governor in 2003. I can attest to the fact that he started well. But somewhere along the line, Saraki lost his way by shifting his focus to the presidency of Nigeria - an obsession requiring compromises that go with such ambitions. In a recent leaked audio tape of a meeting with his supporters, Saraki said he expended between N200 to N400 million in each of at least 30 states of the country during the 2015 general election. Most Kwarans came to the inescapable conclusion that the money could only have been sourced from the state's treasury. While there will be a day to take an objective look at issues surrounding Saraki's political life (including the positives), whatever may have been his other failings, it was pride that ultimately led to his fall. He treated our people with such disdain that even some of those who were contemporaries of his father he addressed by their first name. Once you display contempt for a people, it then follows that you will feel entitled to their resources. Besides, the moment a politician believes his word is law and must dictate everything, transparency and accountability are often the first casualties. 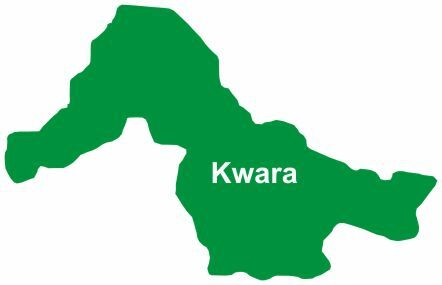 For the past 16 years, it has been a one-man-show in Kwara. Having carefully cultivated a cult of followers and enforcers who worshipped him, Saraki saw himself as an emperor as he trampled on the dignity of our people. One event which many of the elders in Ilorin still recall speaks to the hubris that eventually led to 'O to Ge'. Alhaji Alege was said to have turned to another elder, Alhaji Akanbi Oke, and asked in the inimitable Ilorinspeak: "Akanbi, d�kun tani w�?n n� ka w� p�d�?" (Akanbi, please who exactly are we directed to come and welcome?). Alhaji Oke responded: "?m? to j�de n�n� b��l� n�� ni." (It's the young man that just alighted from the plane). Alhaji Alege then followed up with another question: "?e ?m? t� w? ?�k�t� p�mp�, t� fi yarinni s�eti, t� k� seeni s�??run?" (You mean the one in shorts, with earrings and necklace?). Following an affirmative answer, Alhaji Alege posed another question: "I??? k� l� ? se?" (what does he do for a living?) Obviously more informed, Alhaji Oke replied: "Al�gbe ni" (he is a musician). That drew the last statement from Alhaji Alege: "�l�gbe ni Bukola ni k'�w� p�d�! Toh! � d�a b?. Akanbi, b� mi p� d??r? ?b�, �mi ? l? 'l�! (Incredible! So we had been directed by Bukola to come and receive a musician? Ok then. Akanbi, please call my driver, I�m going home). Let me at this point congratulate Dr Ibrahim Oloriegbe who was last Saturday elected to represent our people in Kwara Central at the Senate. I wish him well. But the focus is now on the governorship election scheduled for next week. What the people of Kwara now expect is the coronation of Alhaji AbdulRahman AbdulRazak for whom I have a word of caution. The votes last weekend should not be seen as an affirmation of what anybody or a political party represents. Ballots were cast by the people of Kwara as a rejection of Saraki's overlordship. APC simply provided the platform for a simple slogan to awaken the consciousness of the people. I am well aware of the many contradictions within the APC in Kwara (comprised of strange bedfellows). Apart from the fact that they provide no alternative vision beyond a common desire to rid the state of Saraki, if they don't quickly come up with ideas on how to reposition the state, the people will kick them out in four years' time. That perhaps then explains why the message from Kwara should not be interpreted simply as the defeat of one man. It is about the changing character of Nigerian politics which only the discerning can see. In my column, 'Lagos and the Godfather's Rage' published in October last year, I offered perspectives on what led to the defeat of the Lagos State Governor, Mr Akinwunmi Ambode, at the APC gubernatorial primary. In alluding to how patronage politics has in turn empowered a few individuals to decide the fate of others during elections, I also added that every political empire has an expiry date and those who believe they can forever lord it over the people will ultimately be upended. Yes, Nigeria is still replete with godfathers who anoint candidates for offices and believe their position on every issue must prevail irrespective of whether outcomes reflect what the majority of the people desire or would actually benefit from. But if there is anything last Saturday's election in Kwara has shown, it is that our people have also imbibed the role of responsible citizenship: voting intelligently and demanding accountability of those who represent them. And now they are also aware that no empire lasts forever. Despite recurring incidences of violence in sections of the country and institutional challenges facing the Independent National Electoral Commission (INEC), our democracy is increasingly strengthened because people of all classes see the value in participating in the political process. Nowhere was this more eloquent than at the Victoria Garden City (VGC) in Lagos. The photograph that went viral last weekend, showed men and women who ordinarily would not vote sitting patiently (and comfortably under a canopy) while waiting to exercise their franchise. And when their ballots were eventually cast and counted, they sent a very powerful message: They voted overwhelmingly for the opposition Peoples Democratic Party (PDP) presidential candidate, former Vice President Atiku Abubakar - even though they share the same estate with the incumbent Vice President Yemi Osinbajo of the ruling APC who also voted there. I am still compiling notes on what happened last Saturday at the polls. But it is instructive that Buhari supporters are already circulating messages that the president lost in both Abuja and the abode of the elites in Lagos because "many of the rich and powerful people in this country have built their personal fortunes from sources not wholly clean.� So, invariably, the over 11 million Nigerians who voted against Buhari did so because "corruption is fighting back�. It is a shame that a senior presidential aide can join in spreading such nonsense. The lesson from last Saturday across the country should be very clear. Nigerians are desperate for leaders they can trust, at all levels. Our people are not stupid. In all the critical institutions that govern our public space, whether at the federal or at state level, they can see the destruction of ideals, enthronement of nepotism and bigotry, the 'Iberiberism' of forcing election officials to declare results at gun-point, and the arrogance of power by those at the helm of affairs�all to their collective detriment. And what they are saying, even when they may appear docile, is: This is not the Nigeria we want, or for that matter, deserve. As our democracy matures and the people use their ballots to ensure �uncommon defeat� for their oppressors, that message will resonate more and more in who gets what across the country, including in Abuja. Senate President Bukola Saraki was the DG of Atiku�s campaign while his sister, Gbemi worked for Buhari. Former President Olusegun Obasanjo supported Atiku while his son, Juwon campaigned for Buhari. Dr Doyin Okupe worked for Atiku while his son, Ditan mobilised for Buhari. Alhaji Buba Galadima campaigned for Atiku but his daughter, Zainab is working for Buhari. You are not a son or daughter to any of these personalities. You are just their promoter/defender on social media. When CBN job is vacant, it will not be advertised because it is for their children. It is the same with jobs in NNPC, NLNG, NPA, NIMASA, NCC, presidency etc. But when forms for recruitment into the police and civil defence are out, that will be made public and you can apply along with hundreds of thousands other Nigerians. Their children school abroad while they leave you to battle the perennial strikes of ASUU, ASUP, NASU and the likes. If you therefore think you can continue to make a nuisance of yourself on social media platforms just because you support these folks, then you need somebody to lend you brain. The death last weekend of Professor Emmanuel Adeyemo Elebute (CON) at age 87 hit me badly. The last time I saw him was at the public presentation of my book, �Against The Run of Play� in Lagos on 28th April 2017. There will be a day to write on one of the most accomplished medical practitioners ever produced in our country who had great affection for me and was a regular reader of my column. I pray God grants mummy (Prof Mrs Oyinade Elebute), egbon Kunle, Mrs Fola Laoye and other members of his family the fortitude a time like this demands.